Today this art has become famous around the world for its simple poetic themes and vibrant colors. In Vietnam, painting on silk is popular. 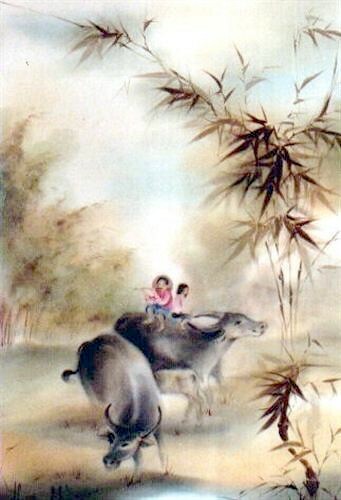 Vietnamese artists found these technique to be a unique way to create mystique and a charming sense of mystique in their paintings. After a long period of development of techniques and styles, silk painting reached its highest period of success during the years 1925-1945. Silk-paintings, together with lacquer paintings, constitute the creations that give rise to the present:.day Vietnamese plastic arts. Deeply rooted in the people, the silk-painting is frequently renewed, and time is an impartial judge.